I was out near White Lake, Sullivan County last week examining some hemlock trees. 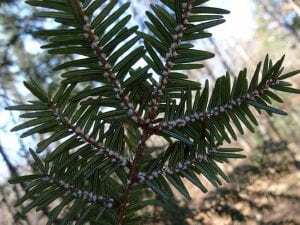 I think many are familiar with Hemlock Woolly Adelgid (HWA) & their devastating impact on hemlock trees. However, these trees were mostly absent of HWA. Instead they were riddled with Elongate Hemlock Scale (Fiorinia externa), a native of Japan. They also kill the tree similarly to HWA. 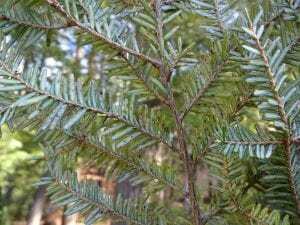 Tags: Catskill Forest Association, Catskill Mountains, elongate hemlock scale, hemlock Categories: What's New?